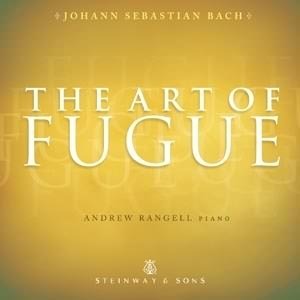 Johann Sebastian Bach never completed The Art of Fugue, BWV 1080. It is a collection of contrapuntal movements with no definite order of presentation or instrumentation. Movements have been added and taken away from the final score over the years. Since the revival of popular interest in Bach's music in the 1850s, historians have narrowed the margin of error regarding the history and performance of The Art of Fugue with impressive efficiency. What is certain is that it is among the most gripping instrumental works that exists, demonstrating practically every composing technique available to Bach. The work was among his estate; he probably did not discuss the work with anyone, or there would have been more pressure to have its mysteries settled before his passing. His son, Carl Philipp Emmanuel, found and published the work as he found it in 1751, still incomplete. It did not sell well. Originally it was thought that Bach had been working on it and died in a race to finish it. Research has proven that he began the piece in the early 1740s (he died in 1750) and returned to work on it further over the years. It has also intrigued alert listeners to hear the final, unfinished movement trail off with B flat, A, C, B natural, which in German musical terminology translates to the word "BACH." This poignant accident of history has done wonders for the general interest in the piece, though in its day the public considered this just shoddy, and C.P.E. Bach attempted to compensate purchasers with the inclusion of a well-known chorale prelude, which was not related to the rest of the work.